Medibank Private is a leading private health insurer in Australia, with over 40 years of experience and 3.7 million customers across its Medibank and ahm brands. In addition to health insurance, Medibank also offers life, travel, and pet insurance. Medibank’s focus is on improving Australian lives by promoting better health. The insurer also offers health services in Australia such as mental health support, after-hours health support, and healthcare for Australian Defence Force personnel. Medibank Private is one of Australia’s leading health insurers. Along with its brand ahm, Medibank services 3.7 million Australians. Medibank Private offers six levels of hospital cover and four levels of extras cover, as well as a range of tailored packages for various life stages. Members enjoy generous reward offers from health and fitness providers. They also gain access to additional resources and support through the MiHealth program. Medibank Private offers extensive levels of hospital cover, extras cover, and tailored packages. All hospital and extras policies include unlimited emergency ambulance (conditions apply). The fund has negotiated with hospital and extras providers to create the Members’ Choice network, which provides discounted services to eligible members. All family hospital cover includes no excess for kids, though waiting periods do apply. Accident: Available to singles and couples, covers ambulance services and hospital treatment in the event of an accident..
Hospital Essentials: Available to singles and couples, covers accidents, minor gynaecology, and knee/shoulder reconstructions. No excess. Complete Hospital: Admission for all in-hospital procedures, includes obstetrics and IVF. Choose your own excess. Standard Hospital: Wide range of hospital services. Choose your own excess. Top Hospital Essentials: High level of hospital cover without obstetrics and IVF. Choose your own excess. Extras cover includes 100% back on optical up to your annual limit, as well as 100% back on an annual dental check-up at a Members’ Choice dentist. Waiting periods do apply. Healthy Start Extras: Available to singles and couples, $500 combined limit on popular extras and 60% back up to annual limits for covered services at Member’s Choice providers. Basic Extras: Includes general dental, optical, physio. 70% back up to annual limits for covered services at Member’s Choice providers. Growing Family Extras: Includes cover for antenatal classes and pregnancy compression garments. Choose your level of cover: 60% or 70% back up to annual limits for covered services at Member’s Choice providers. Top Extras: Wide range of extras including major dental and hearing aids. Choose your level of cover: 55%, 70%, or 85% back up to annual limits for covered services at Member’s Choice providers. Medibank has designed a number of packages tailored to different life stages. You also have the option of customising a package by combining selected hospital and extras policies. 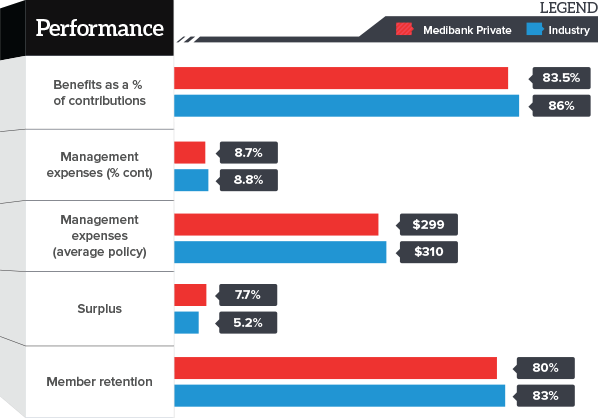 According to the Private Health Insurance Ombudsman (PIHO), here’s how Medibank stacks up against other funds in the industry. Medibank makes it easy and convenient to make a claim by offering a range of options to its members. The simplest way to claim is by asking your health care provider if they can process your claim in person by swiping your membership card. Log in to My Medibank to claim for extras like acupuncture, orthodontics, or remedial massage. Benefits can be paid into your bank account or by cheque. Install the app onto your smartphone and follow the instructions under ‘Make a Claim’. Benefits can be paid into your bank account or by cheque. For services that cannot be submitted online, like ambulance services or hospital accommodation, download the claims form from the Medibank website and submit it via post. Medibank Private offers a generous rewards scheme with discounts on a range of health-related services and products. Members can also find resources on the fund’s website with tips and information on how to live a healthy lifestyle. Medibank’s MiHealth program is a special support service for members. 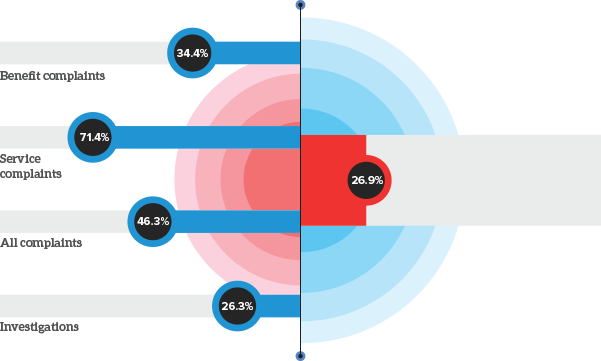 Your type of cover determines which services you can access. Medibank Nurse 24/7: Members with hospital cover can call the 24/7 Medibank nurse hotline at any time with health-related questions. If the nurse feels you need to see a GP, he or she will help arrange an appointment as soon as possible. Online Health Hub: Online health resource for members with hospital or extras cover. The information is overseen by doctors and contains healthy recipes, videos explaining common procedures and conditions, and information on exercise and mental health. Health Apps: Apps available to members with hospital or extras cover. Use Symptom Checker to identify symptoms and Energy Balancer to learn how much exercise you need to do to burn off different foods.